Passions: Discover Them or Develop Them? The long tradition of in-person social support groups through programs such as Weight Watchers is shifting with its rebranding as “Wellness that Works” (still WW but with a different meaning). In a recent interview with Boston Public Radio’s (WBUR) Meghna Chakrabarti, WW’s President and CEO Mindy Grossman defended the move by noting that “What we're providing them today is so much more than just a weight and nutrition program. What we’re focused on is what you put in your body, how you move your body, how your mind supports your efforts, how can we motivate and inspire you? And very importantly, how can we give you a community for inspiration?” Critics argue that the rebranding was necessary to keep WW current, but that with the chief focus primarily weight (and even offering teens free 6-week memberships), the name change is less about being holistic and more about staying relevant while still attracting and retaining fee-paying members. All of this begs the question of whether, in the world of ubiquitous social media channels, it’s really necessary to pay to be part of an online support community. Can’t you find your own niche in the available widespread array of free resources? Perhaps you’ve become a bit jaded when it comes to , given its potential leaking of your personal data to unauthorized outlets, but there’s still nothing to beat it when it comes to finding like-minded people with whom you can find a community. As the administrator of the Facebook group, Fulfillment at Any Age , I’ve been amazed to see the level of positivity that members from around the world are willing to share with each other to provide emotional uplifts. Surely, a group focused on wellness could provide much the same benefit, particularly if it is informed by knowledgeable sources. Even without an official group, just sharing your exercise goals and progress with your Facebook friends (and perhaps a few workout videos) could offer the kind of encouragement you need to help you show up at the gym on a regular basis for a weight circuit or an hour on the treadmill. With these ideas in mind, Western University (Canada)’s Alison Divine and colleagues (2019) paired with fellow researchers in the UK to investigate the possible role of Facebook in stimulating college students (always a good sample for social media research) to increase their exercise motivation. Including in their study the role of relatedness, or psychological need satisfaction in exercising with others, the Canada-UK team believed that college students more connected on Facebook, who also enjoyed sharing their exercise with other people, would have deeper and more lasting exercise motivation. In a two-part study, Divine et al. first conducted an empirical test using quantitative measures to determine whether there would be a relationship at all among the intensity of a person’s Facebook use, exercise motivation, and relatedness (psychological needs satisfaction in exercise). The second study involved a qualitative approach in which a different group of students participated in focus groups where they discussed their own experiences of Facebook use as a motivator (or not) for physical activity. If indeed you’re the type of person who needs the social support of others to stimulate you to exercise, all that would be needed to keep you working toward your goals is a supportive community of like-minded online workout buddies. The survey portion of the Divine et al. study was administered to a cross-national sample of undergraduate classes in kinesiology and sport and exercise psychology in Canada and the UK. All of the questionnaires were administered online, and could be completed in a brief 15-minute session. The average age of the 311 participants (about 50% male) was 20 years old, and 2/3 were White. These seemed to be relatively avid exercisers, with an average of nearly 8 years of participation involving 75 minutes of exercise per session. They spent slightly longer on Facebook than in the gym, though, with an average of 77 minutes each day according to their self-report. The theoretical framework behind the Canada-UK study was one that forms the basis for a considerable amount of motivational research, namely, self-determination theory (SDT). According to this approach, your motivation can be controlled from outside forces or autonomous in which you feel you control your behavior. If you’re exercising for controlled reasons, you’re doing so to earn money, to get approval from others, or to avoid guilt. The autonomous form of exercise motivation involves your desire to exercise because you like it, to improve your health, or to enhance your sense of identity. Previous research, as cited by Divine et al., suggests that it’s autonomous motivation that will keep you showing up at the gym the most regularly, because you are doing this to satisfy your own inner needs. When Facebook use is cited in terms of the motivation of young adults to exercise, it is typically done in negative terms, as the authors point out. The desire to become thin and to overcome a negative body image are, as others have suggested, only exacerbated by Facebook use. However, the authors believe there may be an upside to Facebook use when it comes to exercise motivation. In SDT, the need for relatedness is a potent motivator, and “it is within the social context that needs can be promoted or thwarted suggesting Facebook, as a growing part of the social context for undergraduate students, has potential to play a positive or negative role in exercise motivation and wellbeing” (p. 139). Hence, the authors believe in the perhaps counterintuitive view that Facebook can enhance exercise motivation in a positive sense by building support for physical activity among one’s general group of friends. Body shaming can certainly be a problem on Facebook, but the converse can also occur in which like-minded people who want to support each other’s motivation to exercise are able to find a forum if not appreciative audience. The survey portion of the study asked participants to rate themselves on a series of motivational items such as “I exercise because it’s important for me to keep fit” (an example of “identified” regulation), “I exercise because other people say I should” (“external” regulation), and “I exercise because I enjoy it” (intrinsic motivation). Participants rated their relatedness motivation on items such as “I feel connected to the people who I interact with while we exercise.” The participants also rated their Facebook use by indicating the frequency, duration, and emotional connectedness they felt with the social media site. Subjecting the scores to a statistical modeling procedure, Divine et al. found that for people high in relatedness motivation, Facebook use was positively associated with autonomous (internally-controlled) exercise motivation. There was also some indication that people felt more motivated to exercise to avoid letting their exercise partners down, but the authors believed that as long as this motivation is only a part of the story, there was actually nothing wrong with wanting to please your friends. The focus groups conducted in Study 2 allowed the research team to gain more in-depth insight into this Facebook-exercise motivation connection. Using this qualitative approach, the authors identified both positive and negative components to Facebook’s effect on exercise motivation. On the negative side, in the words of Divine et al., “Some participants found that seeing their friends engaged in activity without them led to feelings of disconnection… and others found instances of unkind posts from others…, both of which decreased motivation” (p. 148). Some, additionally, developed negative perceptions of their bodies after seeing their friends involved in physical activity. On the other hand, for some participants, the Facebook-exercise motivation remained positive, allowing them to find enjoyment in physical activity via their feelings of connections to their friends. To sum up , Facebook support groups aren’t for everybody when it comes to exercise motivation. The key seems to be using Facebook to maintain feelings of connection, and turning away from Facebook if you’re feeling deficient compared to your social media workout buddies. 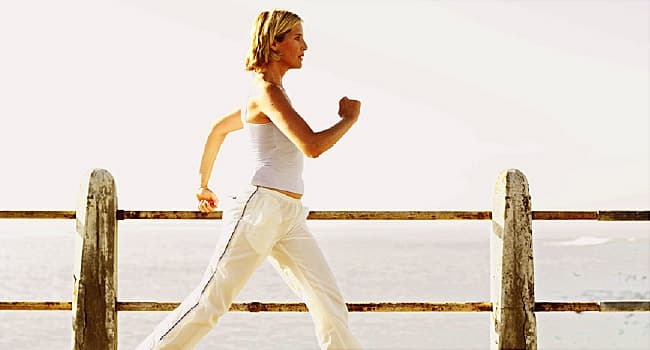 However, the findings suggest that you can enhance your exercise motivation by using, judiciously, this free platform. Find those workout pals who help you feel good about what you're doing, and together you can achieve the fulfillment that comes with physical and psychological wellness.